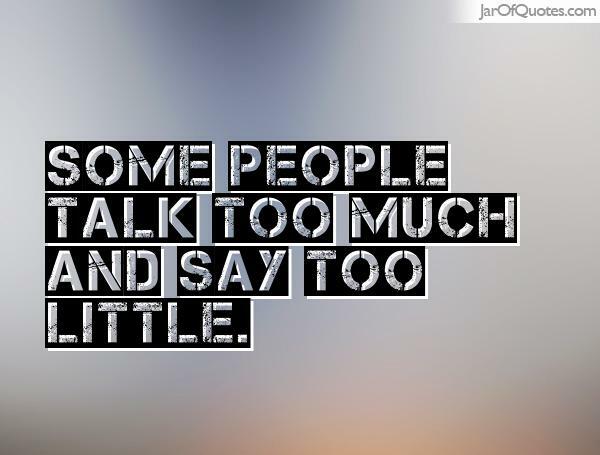 R2T:145 People Who Talk Too Much – Real. Raw. Truths. What does all this incessant chatter mean? Well, first it means that there is a lack of self-awareness. It’s most likely not the case that these people are doing it on purpose. It really has more to do with the difficulty some of us have to listening to ourselves or to others. Listening requires auditory processing which is developed early in childhood. The ability to process sounds also is directly related to learning abilities which explains why so many people who talk at us have difficulty learning how to be relate well with others in a conversation. Another possibility may be that non-stop talking may be a way to subconsciously keep people at distance. It is a way to disconnect emotionally and keep from feeling vulnerable or judged by others. Again, this is probably not a conscious behavior yet it is still makes it very difficult to connect in a conversation.